Below are a few examples of theoretical modeling capabilities within the Institute. and energy storage. Such devices are important to national defense, health, energy efficiency, transportation technology and to the so-called “critical materials” program (which will make the U.S. technology much less dependent on exports). Focusing on multiscale structure-property relationships, using atomistic calculations to identify the mechanisms associated with dislocation emission in nanocrystalline metallic materials and relate the plastic behavior of interfaces on the nanoscale to mechanical properties at higher length scales. Our current research is directed toward investigating semiconductor quantum structures, including quantum wells, quantum dots, and nanorods for electronic and optoelectronic applications. 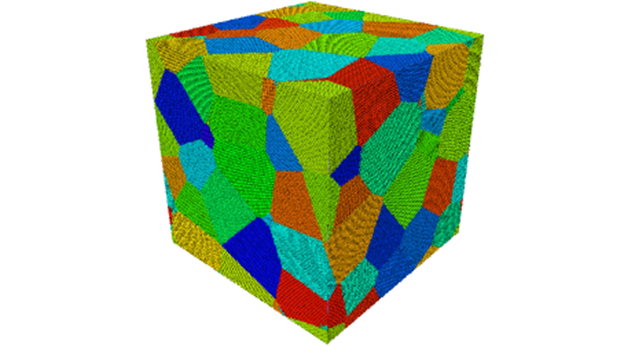 Theoretical modeling of materials and devices including band structure calculations.